Those people who are new to the real estate closing process in New York may not be aware that the amount delivered by the purchaser at closing is not as simple as the amount of the downpayment as subtracted from the purchase price. Adjustments are to be made for real estate taxes, vendors serving the property, and potentially remediating a seller-caused situation. Our real estate attorneys are experienced in making such calculations and in delivering the information to the parties in a timely fashion in order to prepare for closing. The first adjustment to be made involves a credit to the purchaser for the amount of the downpayment. Another common adjustment is a $500.00 credit to the purchaser for the property disclosure statement. New York State law mandates that a seller complete a detailed questionnaire and deliver same to the purchaser. In the absence of the completion of such questionnaire, the purchaser is given a credit of $500.00 against the purchase price at closing. Certain sellers, such as estates, are exempt from the requirement to deliver a property disclosure statement and are not required to apply a credit at closing. Interestingly enough, it has become the custom for sellers to complete the disclosure questionnaire in upstate New York, while most sellers in the downstate area served by this firm typically do not produce such a statement. Our attorneys advise sellers concerning whether they should deliver such a disclosure in their specific situation. Real estate taxes are another common source of adjustments between the parties to a transaction. In Westchester County, New York, the area in which our firm is located, there are two or three different types of real estate taxes, all of which cover different periods of time in the calendar year. For instance, County taxes cover the calendar year, January 1-December 31. School taxes cover the dates July 1-June 30. In those jurisdictions subject to Village taxes, the year is calculated from June 1-May 31. Even though the various real estate taxes cover particular periods of time, the taxes are not necessarily due on these specific dates. County taxes are due on April 1, with penalty for late payment being applied on April 30. When calculating closing adjustments pertaining to real estate taxes, it is determined whether the seller has paid the applicable taxes. Calculations are undertaken to figure the amount of taxes per day, known as per diem. For instance, if the County Tax is $3,650 and given that there are 365 days in a year, the per diem amount is $10. If the tax is paid by the seller through December 31 and the closing is held on December 1, the purchaser will owe the seller for 31 days of December at the rate of $10 per day, or $310. Most contracts provide that purchasers are responsible for the charges on midnight of the day of the closing. If the closing is held on December 1, then the purchaser pays taxes starting on that day. Other common adjustments are for maintenance in a cooperative or common charges in a condominium. Similar to the calculations for real estate taxes, the questions are whether the seller paid for periods of time after the closing and the calculation of the per diem amount. Fuel oil is another common adjustment to be made. In a home with fuel oil, the vendor reads the number of gallons in the tank and assigns a price per gallon. The purchaser then compensates the seller for such total amount. There could be specific provisions in the contract which give rise to the need to make additional adjustments. Perhaps the purchaser is going to be credited at closing for the anticipated amount of the cost to replace the roof after closing. Closing cost concessions are another potential adjustment. For instance, the negotiated purchase price is $180,000. The purchaser wants to apply for a loan corresponding to a $200,000 purchase price in order to have additional funds for renovation. The contract will specify that the purchase price is $200,000 with a $20,000 seller’s concession and that the purchaser will pay the broker’s commission and transfer taxes corresponding to the amount of the $20,000 seller’s concession. Such calculations are included in the closing adjustments. Adjustments may need to be made that are not necessarily anticipated. Typically this type of adjustment is caused by the seller. For example, a seller was required in the contract to make a particular repair before closing and failed to do so. The purchaser’s attorney will negotiate appropriate compensation. Those sellers who do not anticipate all that is required to declutter a house prior to closing may leave such a volume of personal property that a dumpster is needed and the purchaser may seek compensation for the cost of labor required to remove the seller’s items. 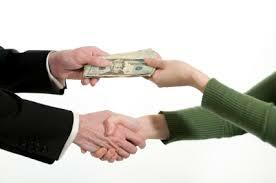 The purchaser’s attorney will negotiate an amount that properly compensates the purchaser in this event. While all of these potential adjustments may seem complicated, our attorneys take pride in being proficient in these calculations, readily explaining all of the details to our clients. We look forward to representing purchasers and sellers with respect to the issues raised in this post.